You already know the valuable benefits the software can provide to your business. (And if you haven’t purchased yet, it’s time to check out a demo to see what all the fuss is about!) Because it’s such a powerful all-in-one marketing tool, it can be time-consuming to learn, to implement on a daily basis, and to stay on top of! 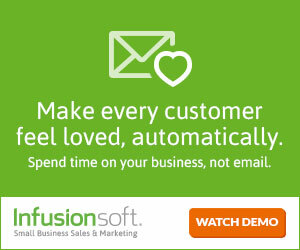 Well, struggle no more, Infusionsoft Users! I have great news! There is no need to go it alone when you partner with an Infusionsoft Certified Consultant to handle the ongoing administrative needs in your Infusionsoft application! All successful entrepreneurs learn how to ask for help. And when they find the team that helps them soar, they make the art of “the ask” a regular habit. To have someone behind the scenes, taking care of the things on your to-do list? Share your list with me I can get it done or help make it happen for you. If you’re tired of doing everything yourself, you’ve come to the right place: the place where you can receive help for your business success. Allow Solutions by Lara to provide you the support you need. Sign up here for my free report!